“Congratulations for a great year and your excellent performance as a Garmin distributor in 2016. 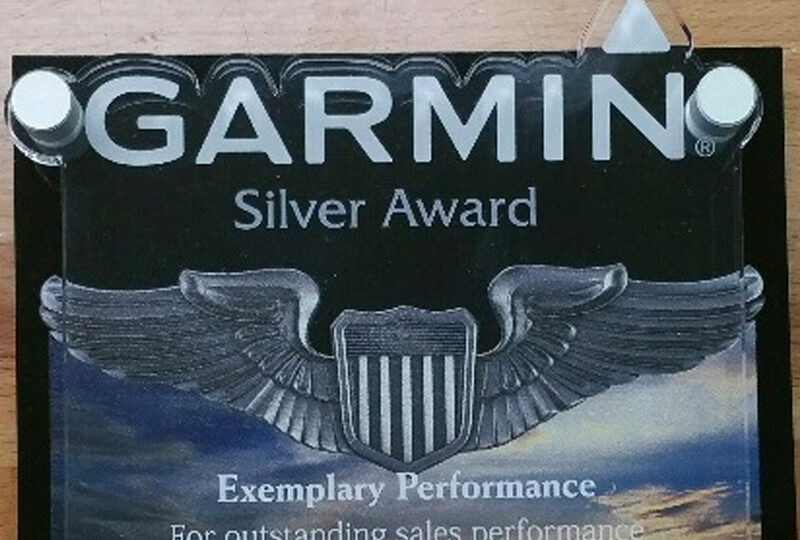 Garmin has created the Silver Award to recognize our top performing aviation distributors, and we are pleased to present this Award of Exemplary Performance, one of our most prestigious awards. A Silver Award of Exemplary Performance represents a first-class level of sales performance, technical expertise, and customer service. This award places you in the top 15% of Garmin distributors worldwide, so it is an award we hope you will be proud to prominently display in your place of business.